October 11th, 2018 was the annual World Sight Day organized to raise awareness of blindness, visual impairment and universal eye care. Picture of a girl wearing traditional Indian clothing and glasses. The picture reads "Eye care everywhere", "55 % of of moderate or severely vision impaired people are women", and "#WorldSightDay" together with the World Sight Day 2018 and IAPB logos. On October 11th, we celebrated World Sight Day 2018. World Sight Day is an annual event occuring on the second Thursday of October. The goal of World Sight Day is to raise awareness and to draw attention to blindness and vision impairment as well as universal eye health. World Sight Day is organized by the International Agency Preventing Blindness, IAPB, who encourages partners and organizations to promote the event by sharing their annual theme and message. 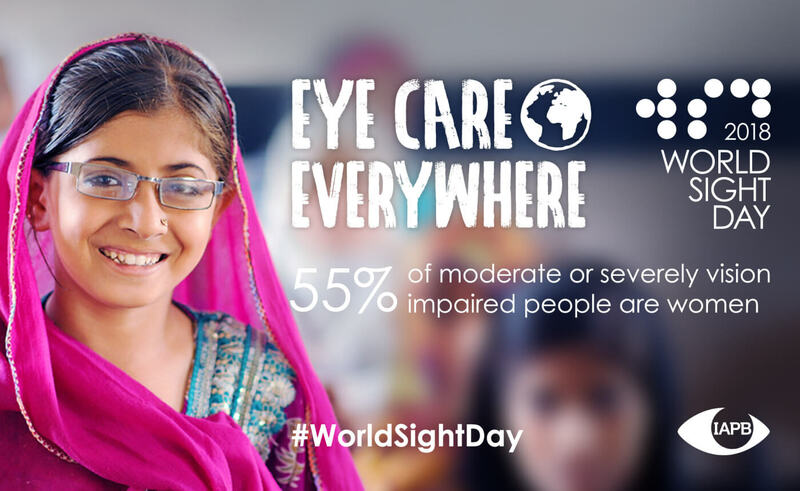 This year the focus of World Sight Day has been “Eye Care Everywhere”. The goal with this year’s theme was to draw attention to eye care issues, and that everyone should have access to good eye health. Besides spreading the social messages, IAPB also arranged a photo competition, and organizations around the world were hosting local events to spread awareness of the issue. You can learn much more about IAPB and their World Sight Day initiative and see the winners of the photo competition on the World Sight Day website. You can also check out what’s been going on on social media by searching for the hashtags #EyeCareEverywhere, #WorldSightDay and #WorldSightDay2018. And remember, in 2019 World Sight Day will be on October 10th.